The mixture of gases that make up the earth’s atmosphere is commonly called air. 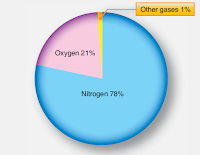 It is composed principally of 78 percent nitrogen and 21 percent oxygen. The remaining 1 percent is made up of various gases in smaller quantities. Some of these are important to human life, such as carbon dioxide, water vapor, and ozone. Figure 1 indicates the respective percentage of the quantity of each gas in its relation to the total mixture. The percentage of the various gases that comprise the atmosphere. 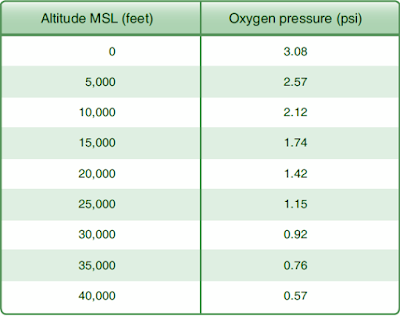 As altitude increases, the total quantity of all the atmospheric gases reduces rapidly. However, the relative proportions of nitrogen and oxygen remain unchanged up to about 50 miles above the surface of the earth. The percentage of carbon dioxide is also fairly stable. 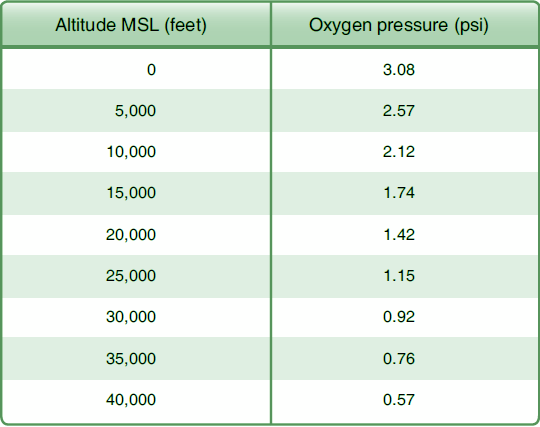 The amounts of water vapor and ozone vary. Nitrogen is an inert gas that is not used directly by man for life processes; however, many compounds containing nitrogen are essential to all living matter. The small quantity of carbon dioxide in the atmosphere is utilized by plants during photosynthesis. Thus, the food supply for all animals, including man, depends on it. Carbon dioxide also helps control breathing in man and other animals. The amount of water vapor in the atmosphere is variable but, even under humid conditions at sea level, it rarely exceeds 5 percent. Water also occurs in the atmosphere as ice crystals. All forms of water in the atmosphere absorb far more energy from the sun than do the other gases. Water plays an important role in the formation of weather. Ozone is a form of oxygen. It contains three oxygen atoms per molecule, rather than the usual two. Most of the atmosphere’s ozone is formed by the interaction of oxygen and the sun’s rays near the top of the stratosphere in an area called the ozone layer. This is important to living organisms because ozone filters out most of the sun’s harmful ultraviolet (UV) radiation. Ozone is also produced by electrical discharges, such as lightning strikes. It has a faint odor, somewhat like that of weak chlorine, that may be detected after a thunderstorm. Auroras and cosmic rays may also produce ozone. Ozone is of great consequence to living creatures on earth and to the circulation of the upper atmosphere. The second most prevalent substance in the atmosphere, oxygen, is essential for most living processes. Without oxygen, humans and animals die very rapidly. A reduction in the normal oxygen supply alters the human condition. It causes important changes in body functions, thought processes, and the maintainable degree of consciousness. The resultant sluggish condition of mind and body produced by insufficient oxygen is called hypoxia. 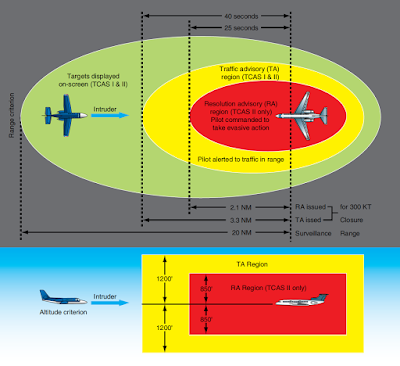 There are several scenarios that can result in hypoxia. During aircraft operations, it is brought about by a decrease in the pressure of oxygen in the lungs at high altitudes. The air contains the typical 21 percent of oxygen, but the rate at which oxygen can be absorbed into the blood depends upon the oxygen pressure. Greater pressure pushes the oxygen from the lung alveoli into the bloodstream. As the pressure is reduced, less oxygen is forced into and absorbed by the blood. Another physiological phenomenon of interest to aviators is hyperventilation. Its symptoms greatly resemble hypoxia. When various cells in the body use oxygen and food delivered to them by the blood, carbon dioxide is a by-product. Blood carries this carbon dioxide to the lungs where it is exhaled. Carbon dioxide functions in the body to regulate the depth and frequency of breathing. A high level of carbon dioxide in the blood triggers rapid, deep breathing to expel it. This also promotes the intake of a greater amount of oxygen for active cells to use. A low carbon dioxide level causes more relaxed breathing resulting in less oxygen intake. Therefore, an oxygen/carbon dioxide balance exists in the blood. Occasionally, fear, panic, or pain triggers excessive rapid breathing in a person. With it comes a reduction of carbon dioxide in the blood, even though the body does not need this. The lower carbon dioxide level signals the body that there is enough oxygen available and blood vessels constrict, causing hypoxia-like symptoms because insufficient oxygen is being delivered to the cells. Note that the onset of hypoxia described in the previous section occurs without the rapid breathing that accompanies hyperventilation. Hyperventilation can often be alleviated by having the person calm down and breathe normally, which restores the oxygen/carbon dioxide balance in the bloodstream. 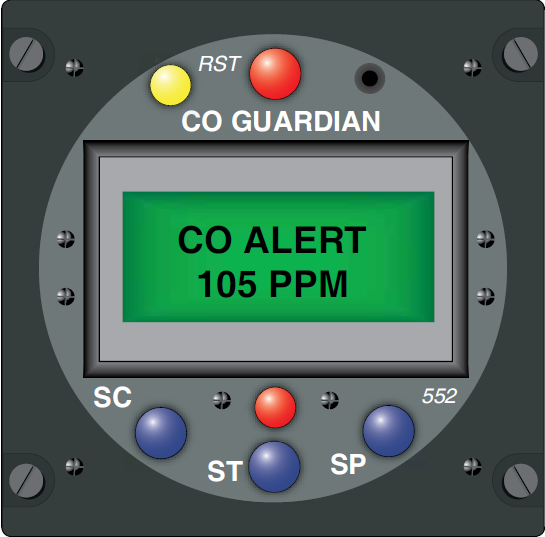 Carbon monoxide is a colorless, odorless gas produced by incomplete combustion of hydrocarbon fuels, such as those used in aviation. The human body does not require this gas to function. Its presence, however, can prevent a sufficient level of oxygen to be maintained in the body, resulting in hypoxia. This is also known as carbon monoxide poisoning. As with all forms of oxygen deprivation, extended exposure to carbon monoxide can result in unconsciousness and even death. Hemoglobin is the substance in the blood that attaches to oxygen in the lungs and circulates it to cells in the body for use. Carbon monoxide more readily attaches itself to hemoglobin than oxygen. If carbon monoxide is present in the lungs, hemoglobin attaches to it and not oxygen. This results in cells not receiving the amount of oxygen they need. The insufficient oxygen level results in hypoxia-like symptoms. A real danger of carbon monoxide poisoning is that long exposure to slight traces of carbon monoxide can result in oxygen deprivation just as easily as short-term exposure to a concentrated amount. The onset of its effects can be very subtle. Aircraft that utilize exhaust shroud-type heating systems or combustion heaters are more likely to have carbon monoxide introduced into the cabin from these devices. 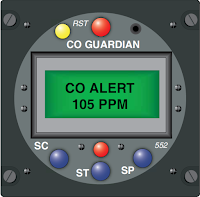 It is very important to discover the source of carbon monoxide if it is detected. Various leak checks and testing for cracks are performed regularly whenever a combustion source is also the source for cabin heat.